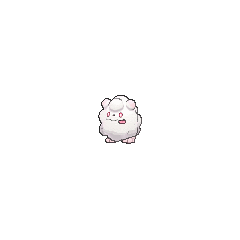 Swirlix in game: 2,485 Who? Important notice! Pokemon Swirlix is a fictional character of humans. 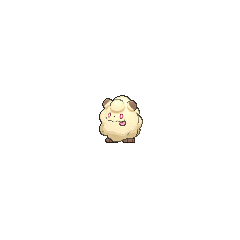 Swirlix (Japanese: ????? 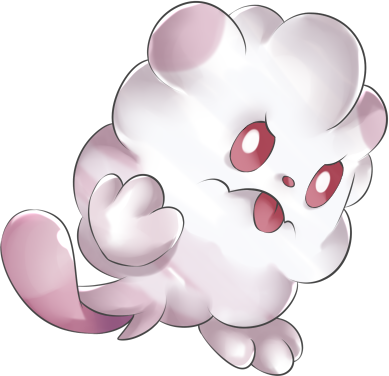 Peroppafu) is a Fairy-type Pokémon introduced in Generation VI. 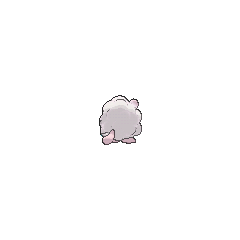 Five Swirlix appeared in A Battle by Any Other Name!. Swirlix made its debut appearance in Kalos, Where Dreams and Adventures Begin!. Swirlix made a cameo appearance in A PokéVision of Things to Come!, The Bonds of Evolution!, The Cave of Trials! and The Future Is Now, Thanks to Determination!. Shauna was revealed to own a Swirlix in Summer of Discovery!. A Performer's Swirlix appeared in A Showcase Debut! participating in the Coumarine Showcase. It appeared again in Master Class Choices!, where it was used in the FleurrhShowcase. A Swirlix appeared in Lights! Camera! Pika!, under the ownership of Frank. A Swirlix ran away with its Trainer when Xerneas and Yveltal clashed in Vaniville Town at the start of the X & Y chapter. Swirlix appears as a Poké Ball summon in both versions of the game. 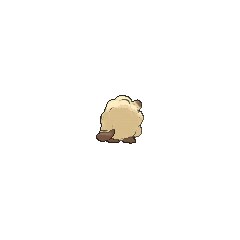 It will use Cotton Spore to slow down nearby opponents. 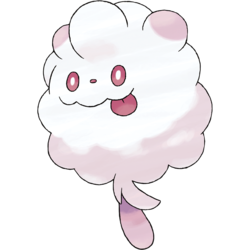 Swirlix is based on cotton candy, previously known as fairy floss (a name still used in Australia), which may be the inspiration for its type. The way Swirlix entangles foes in its sticky threads may be a reference to European folk tales in which eating fairy food traps mortals in the fairy realm. Considering its lolling tongue, nose, ear-like circular "bumps" on its head, and its tail, it may also be based on a dog, more specifically a Bichon Frise or poodle. Its white body and pink, ear-like bumps may also reference folk beliefs that one can distinguish a fairy dog by its white fur and red ears. Peroppafu may be a combination of ???? peropero (onomatopoeic sound for licking) and puff.